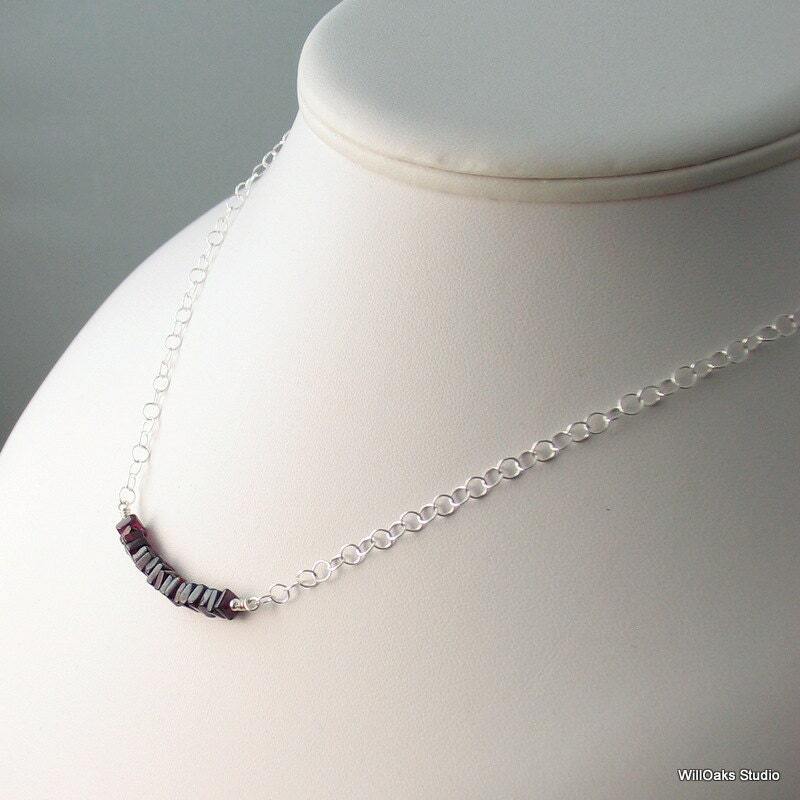 My garnet necklace as a bar pendant with a row of unique square cut garnet gems, pulled together with sterling wire and bound to sterling chain. 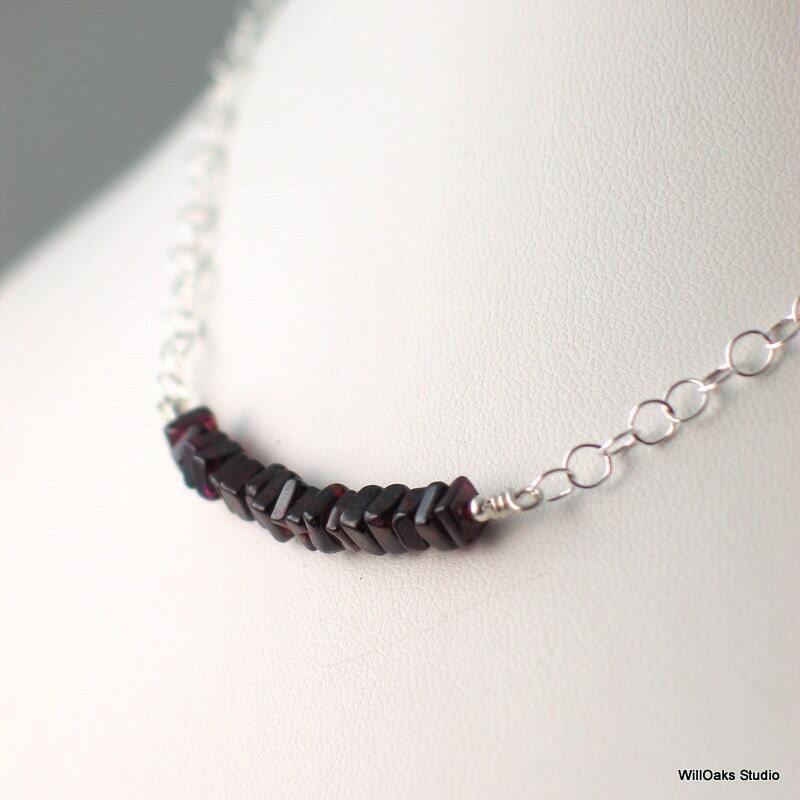 About 17.5" long, and closing with a sterling spring clasp that can close on any chain link to wear at the just length you prefer, this necklace is an artisan original design. 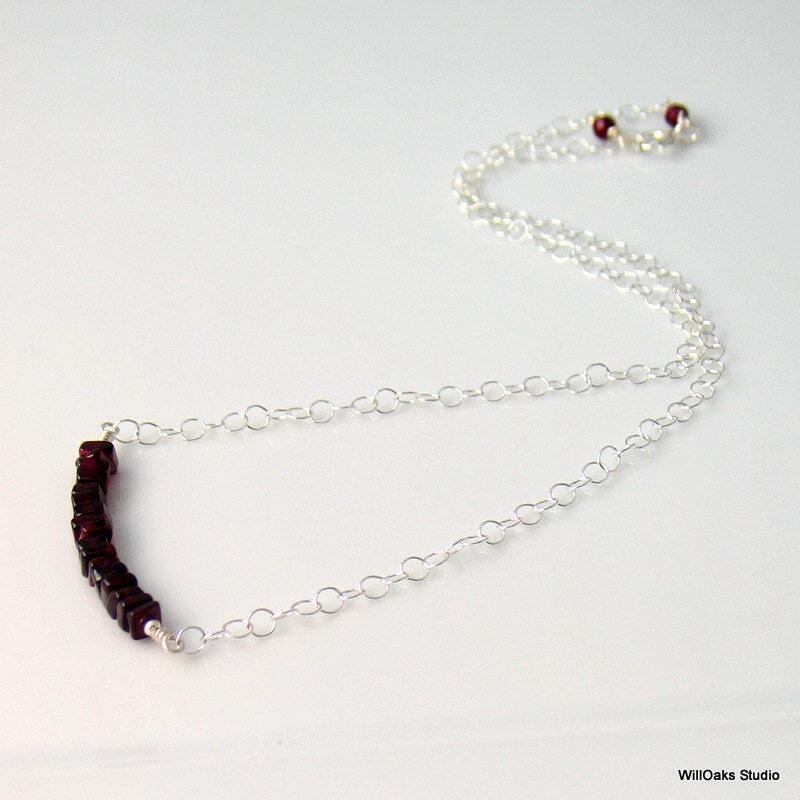 Faceted garnet beads bracket the clasp and the end of the chain. 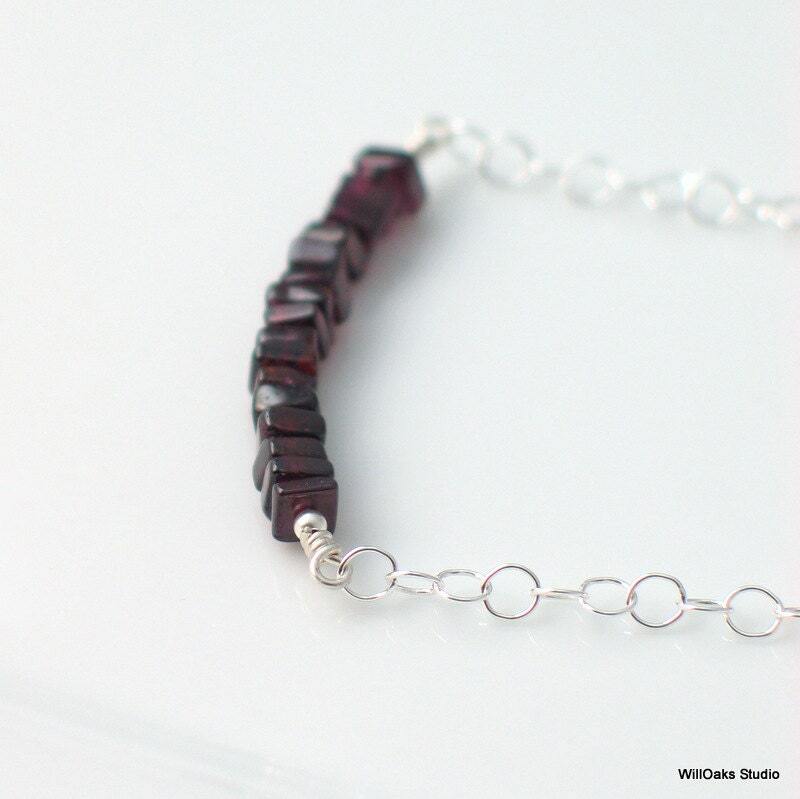 A limited edition, for garnet lovers and as a January birthstone. 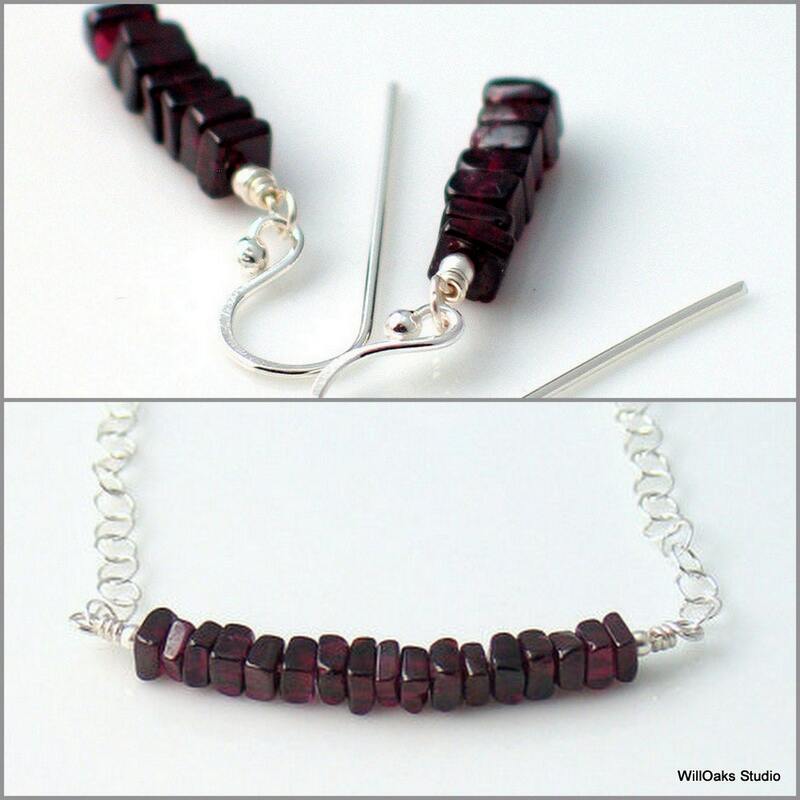 Coordinated garnet stacked stone earrings are available here https://www.etsy.com/listing/174631323/garnet-stacked-earrings-square-garnets? Presented in a signature box, all ready to give (or to keep!) Ready to ship. Shipped and arrived as described. Beautiful garnets and nicely put together. The necklace is very comfortable and designer was accommodating about adding length with no issue! Very happy with this and at a reasonable price! Lovely!